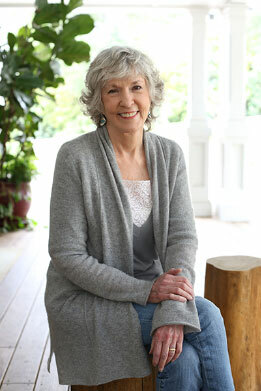 In December, beloved mystery writer, Sue Grafton passed away. A #1 New York Times-bestselling author, Sue Grafton published in twenty-eight countries and in twenty-six languages—including Estonian, Bulgarian, and Indonesian. Books in her alphabet series, beginning with A is for Alibi in 1982 and most recently, Y is for Yesterday, are international bestsellers with readership in the millions. Her 25 novels featuring the private eye Kinsey Millhone established the hard-boiled female detective as a viable alternative to the males who had dominated the genre. Dana Stabenow thought that a wonderful way to honor Sue’s dedication to the written word and women writers would be to raise the money to name a cabin at Storyknife Writers Retreat after her. At this time, the funds for the other five cabins have been pledged or donated. This is the last cabin to name (though we have many other opportunities to name a part of Storyknife after an inspirational woman in your life), and it would be fabulous to have it commemorate a writer whose strong heroine inspired so many. To that end, we’ve set up a dedicated fundraising page to the campaign to raise $50,000 to name a cabin for Sue. If you are one of those millions who love Sue Grafton and Kinsey Millhone, please consider donating to help us reach the goal of building Sue’s Cabin, not just to honor her memory, but to provide a place for women writers to create their own novels, essays, and poems to inspire generations to come. Donate here, and thank you for helping make Storyknife a reality for women writers everywhere. Please share with everyone who might want to take part.